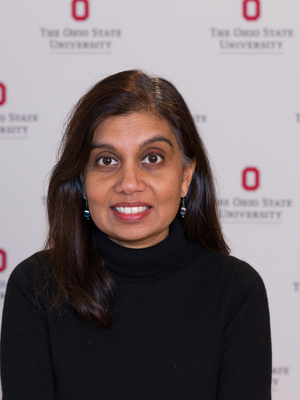 I am new to OSU, having joined the departments of History and Women's Studies in Autumn 2004. My research focuses on women and gender in modern South Asia, and I teach courses in these areas, as well as in global and trans-national feminisms and Asian history. My research interests have taken me to South Asia and I lived for about a year in Chennai (Madras) and New Delhi. My research and teaching on both Asia and Asian American studies have been shaped by my experience growing up as a second generation Indian American in Connecticut – at a time when Asian Americans were few and far between in my neighborhood. My initial interest in Asia developed as a way to "make up" for these absences, and to find ways to connect my own experiences as an Asian American with intellectual inquiry and activism. I look forward working to being part of a vibrant and multi-ethnic community here in Columbus as I strive to provide a supportive and diverse environment for my third generation(!) Asian American daughter.